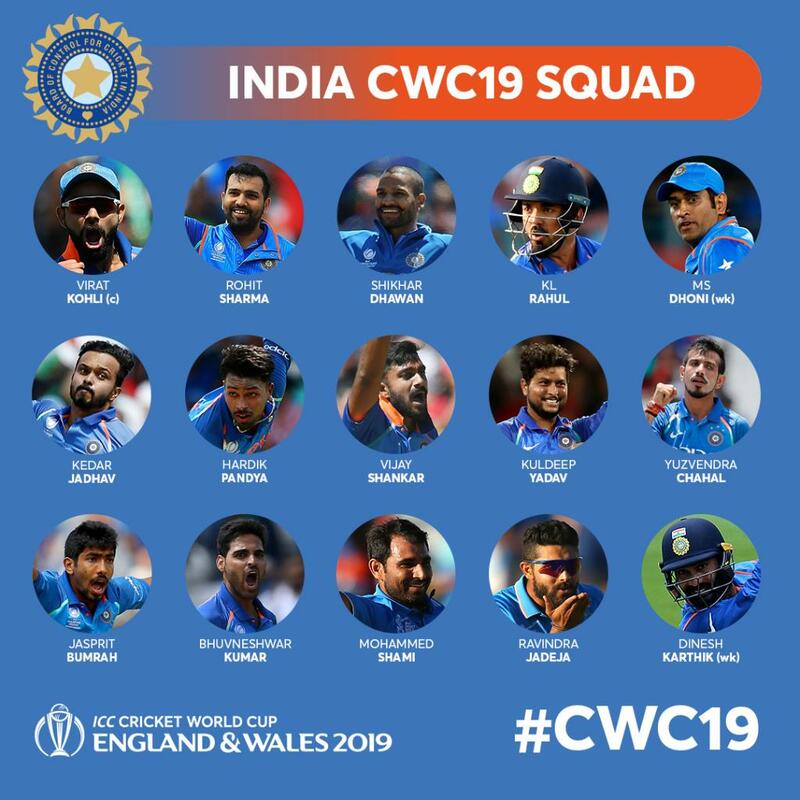 Rishabh Pant and Ambati Rayudu were the biggest exclusions as India named the 15-member squad for ICC World Cup 2019. 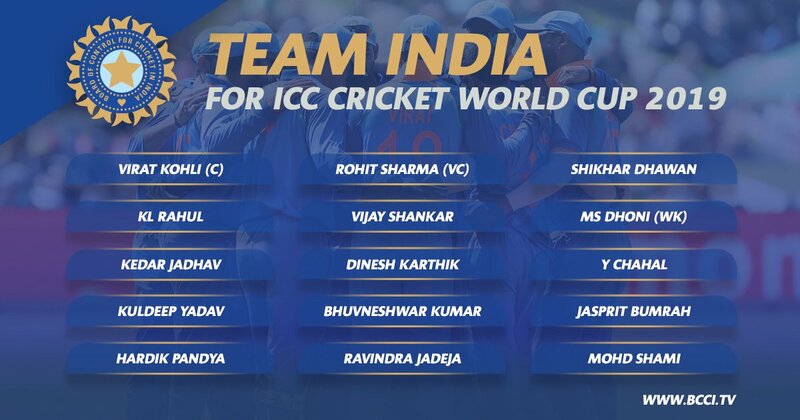 The team, which will be led by Virat Kohli, included Dinesh Karthik as the second wicket-keeper besides MS Dhoni. Vijay Shankar was included in the squad as an all-rounder along with Hardik Pandya, Ravindra Jadeja and Kedar Jadhav. In the bowling department, the individuals who were included in the team were Yuzvendra Chahal, Kuldeep Yadav, Bhuvneshwar Kumar, Jasprit Bumrah, and Mohammed Shami.